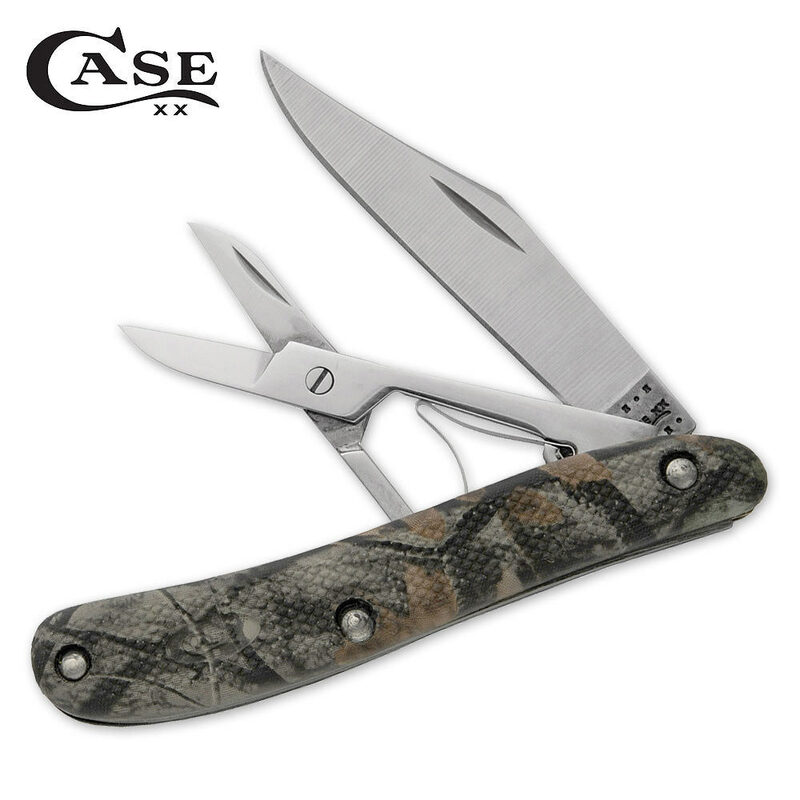 Case Camo Lightweight Peanut with Scissors | BUDK.com - Knives & Swords At The Lowest Prices! When you're out in the field, you've got little margin for error. Designed for everything that could go wrong, or right, the new Case Camo family has super-sturdy handles made of no-slip Zytel™, a tough material that stands up to anything. This Case Peanut knife features 400 series stainless steel clip and scissor blades. 2 7/8" cl.